Bryan Cranston may forever be emblazoned in our collective memory as Walter White, the cold-blooded criminal mastermind from Breaking Bad, but there was a time when Cranston was the sweet and goofy dad Hal from Malcolm in the Middle. Few actors could make the leap from sitcom to groundbreaking drama, but Cranston had the tighty-whitey cajones to do it. 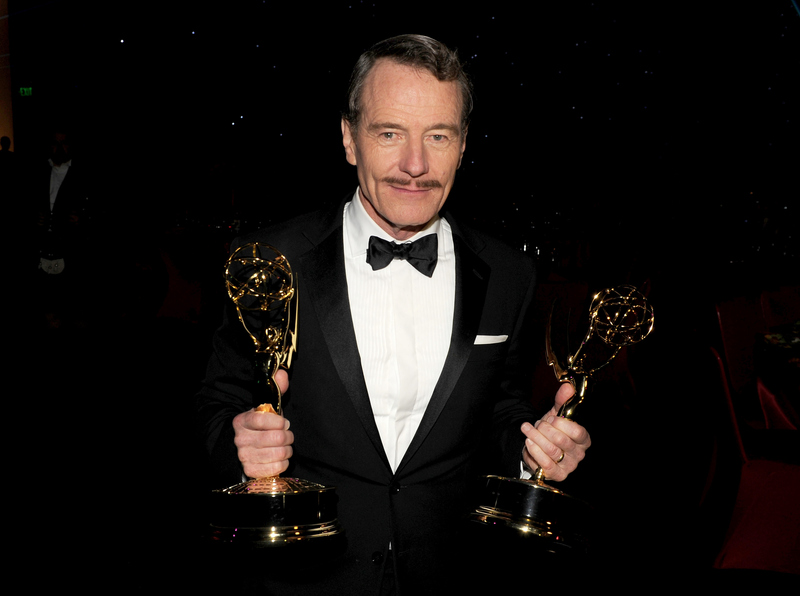 Since his award-winning turn as Walter White, Cranston has taken on a slew of dramatic roles in film and on Broadway. However, his next project is far from the meth lab or Godzilla's grasp. Cranston will co-star alongside James Franco in the comedy Why Him?, a Ben Stiller-produced film about a humble midwestern father who visits his daughter while she's at college and meets her smug (and rich) tech developer boyfriend. Cue shenanigans. Cranston and Franco are also co-starring in the upcoming drama In Dubious Battle , which is about a 1930s agriculture activism movement. Franco will be directing that film as well, so, by the time Why Him? gets rolling, the two will have plenty of banter and rapport to amp up the humor. I mean, c'mon, after spending all of that time getting serious about farm worker labor laws, these two are going to want to blow off some steam, and let their freak flags fly. I, for one, am thrilled to see Cranston make a strong return to comedy. He'll appear in the Miles Teller post-college unemployment comedy Get A Job later this year, but, for the most part, Cranston has been capitalizing on his Breaking Bad gravitas. Thankfully for us, all of this dark, dramatic work will make his comedy all the better. As Jeff Daniels taught us in Dumb and Dumber, it's the serious actor who can often make the best comedian. Playing the humor straight and truthfully is often a lot funnier than going over-the-top. I would love nothing more than to see a mild-mannered plaid-wearing Cranston go from Hal to Walter White all over James Franco's behind in this new movie. God of Comedy, Bryan Cranston.